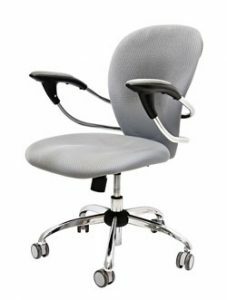 If you are in need of premium office seating for your home office or business in Dunwoody, Georgia, or another nearby community, then turn your attention to NorthPoint Office Furniture. We are a family-owned and -operated furniture dealer that supplies high-quality new and used furniture to commercial and home offices throughout the Metro area. In our 8,000-square-foot showroom, you will find an extensive selection of office seating from some of the best-known brands in the industry, including HON, Office Star, Global, Fairfield, and Humanscale, so you can feel confident that the chairs you purchase will be attractive, durable, and ergonomic. At NorthPoint, we strive to ensure our customers’ experience with us is as pleasant as possible. Our knowledgeable and helpful staff act as consultants and will go above and beyond to help you find a solution for your office furniture needs. We’ll learn about your goals for your office space, determine your budget and timeline, and recommend the best office seating options for you. We’ll even provide basic space planning suggestions and take care of assembly, delivery, and installation. Best of all, all of our furniture comes backed by generous manufacturers’ warranties, so you can rest assured that your investment is protected. Contact NorthPoint Office Furniture today for more information about the office seating we have available for commercial and home businesses in Dunwoody, GA.